I was the lead Product Designer of an app we chose to call Higgo (a contraction of “highlights” and “go”). The app was developed as a pet project when I worked in Adapt. 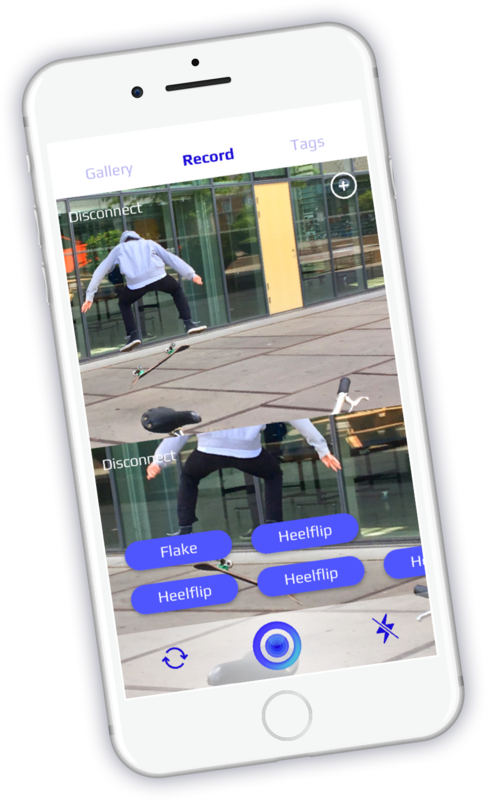 The app lets the users record video while tagging specific highlights at the same time. This allows the user to easily find specific moments without having to look through hours of video. In addition, several smartphones can be connected to the same video stream, which enables the user to record the same video from different angles at the same time. I contributed with user research, concept development, wireframing, prototyping and user testing. The app went live on App Store in 2017. I was the Product Designer and Product owner of ‘Dinnr’ which was a client project in Adapt. Dinnr is a food delivery service sold exclusively to companies. If the company subscribes to Dinnr, the employees of the company can order fully prepared meals delivered to their workplace to bring home. The menu changes every day with new, healthy and delicious meals. 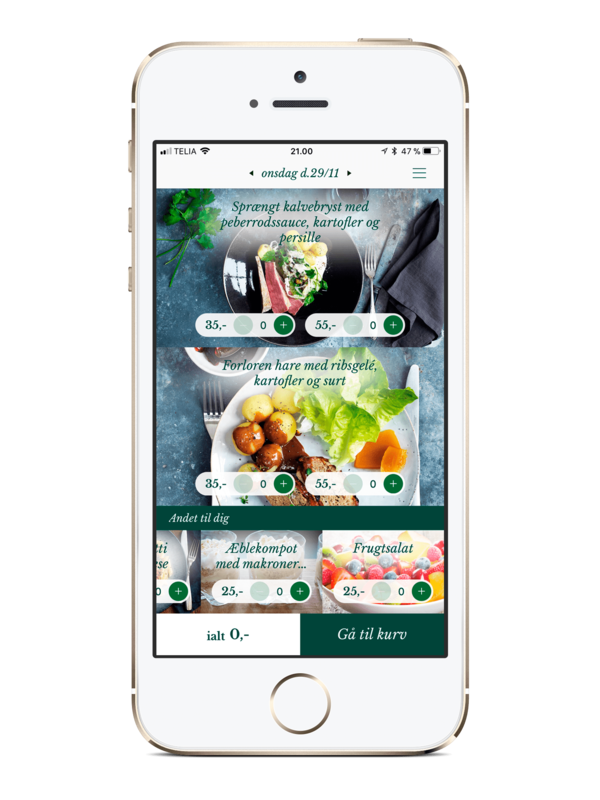 The app is the main touchpoint for the users to see, order and pay for the food. I contributed with ongoing improvements, client meetings, facilitation of workshops, and innovation of new features. During my time as User Experience Designer for The Danish Road Directorate, I worked on their traffic information app called “Trafikinfo”. 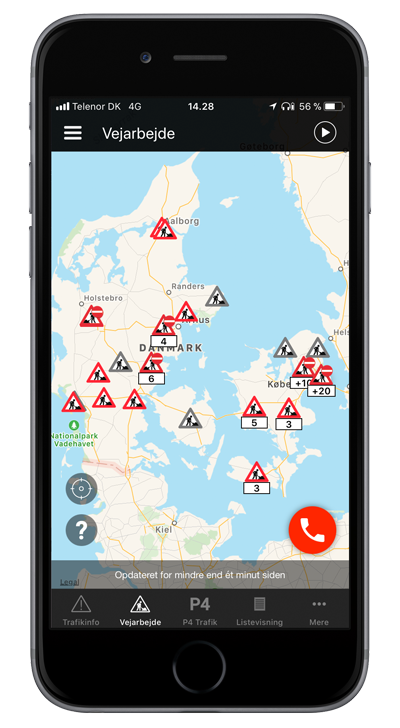 The app lets Danish drivers see the current traffic situation in Denmark, get news about changes in traffic, call the traffic center to report incidents, and more. I contributed with collecting suggestions and ideas from users and transforming them into features in the app. I had a close collaboration with developers to constantly improve the app. During my time, I managed to increase the user satisfaction score from 73% to 91%. When I worked at Adapt, I was the Product Designer and Product Owner of the website for GolfConnections – a Danish golf travel website. On the website, the visitors kan buy golf trips and customize them with add-ons and other specific wishes. I contributed with research, workshops, concept development, design and client contact. When I studied abroad at The University of Pennsylvania School of Design in 2015, I was the designer of a map of businesses in Mt. Airy, USA. The map displays the local businesses in the area with descriptions of each. It is meant to be a fun and eclectic experience that allows citizens and visitors of Mt. Airy the opportunity to explore the town.